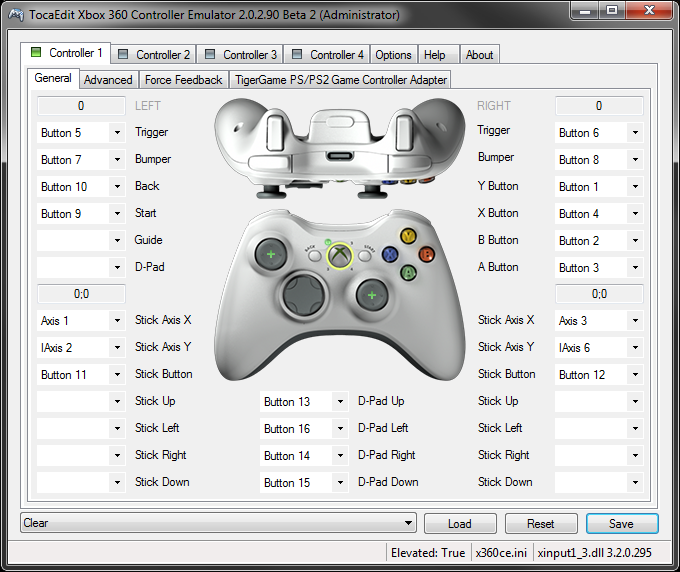 This guide will provide you with instructions on how to get a controller to work with FFXIV. If you have a problem, feel free to send me an e-mail (krizz@tehkrizz.net). Since I don't have a PS3 controller, I will just link you to the download pages and instructions. I tried it with the PS2 controller, but it wouldn't work. I have full confidence that it would've worked if I had a PS3 controller. 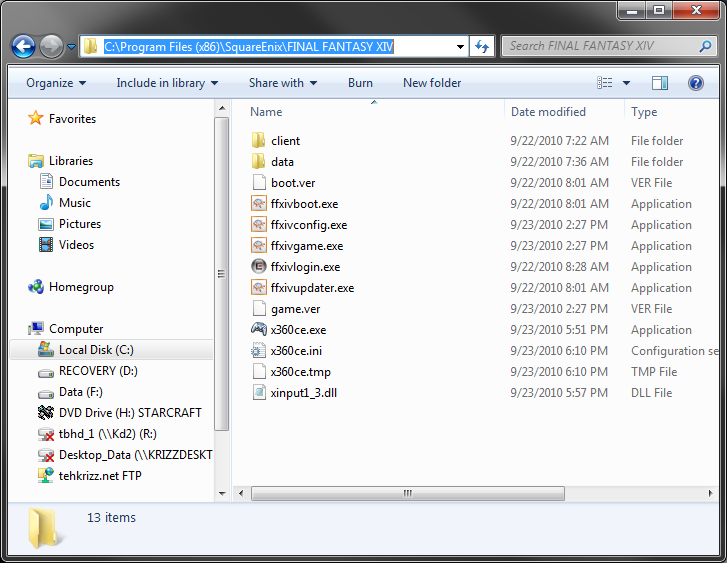 Note: The only downside to this program is that you have to keep it open every time you play FFXIV. However, it's not that much of an inconvenience. 3. Run x360ce.exe. The first time you run it, it will tell you it can't find two or three files. Allow it to create the files. 5. Run x360ce.exe again, and it will come up with the configuration. Below is the configuration that has worked for me. I am using a PS2 controller with the Super Joy Box 5 Pro adapter. I've used this same controller and adapter for FFXI for years. You must leave this window up while configuring the ffxiv config and while playing ffxiv. 6. 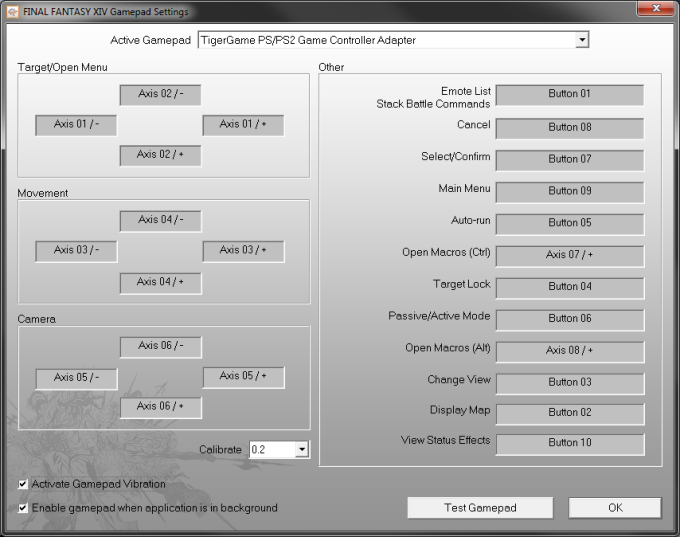 Now you can open the FFXIV Config, and set your controls there. Below is what my configuration looks like. Yours doesn't have to be the same. It all depends on what you're comfortable with.